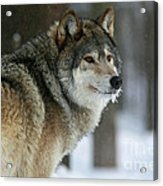 Leader Of The Pack iphone x case by Inspired Nature Photography Fine Art Photography. Protect your iPhone X with an impact-resistant, slim-profile, hard-shell case. The image is printed directly onto the case and wrapped around the edges for a beautiful presentation. Simply snap the case onto your iPhone X for instant protection and direct access to all of the phone's features! Shelley, Congrats!!! Your Stunning Photography work has been Featured on the Home Page of Weekly Fun!!! Thanks so much Rick for your comment. Pleased you enjoyed Leader of the Pack Timber Wolf. Thank you so much Ernestine. I am pleased you enjoyed my Wolf in Leader of the Pack. Thank you kindly Krista for Featuring Leader of the Pack in your Fine Arts Group. Thank you Leslie. Pleased you enjoyed Leader of the Pack. Oh wow Shelley, this is stunning work, v!! Thank you David for your comment and support. I am pleased you enjoyed Leader of the Pack. Thank you very much Ruth. So pleased you enjoyed Leader of the Pack. Thank you Robert for Featuring Leader of the Pack in your Nature Photography Fine Art Group. 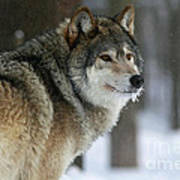 Thank you very much for your comment Sophie and for featuring Leader of the Pack Grey Wolf. Amazing shot, Shelley! Featured, v/f. Please share your story behind this image in the discussion thread! 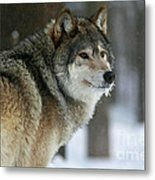 Thank you so much Sharon for Featuring Leader of the Pack in Fine Art Greeting Cards. Thank you Jessica for Featuring Leader of the Pack Timber Wolf. Thank you very much First Star Art for Featuring Leader of the Pack Timber Wolf in Winter. Thank you very much Sharon for featuring Leader of the Pack Timber Wolf. Leader of the Pack is part of the Captivating Wildlife Fine Art Photography of Shelley Myke. 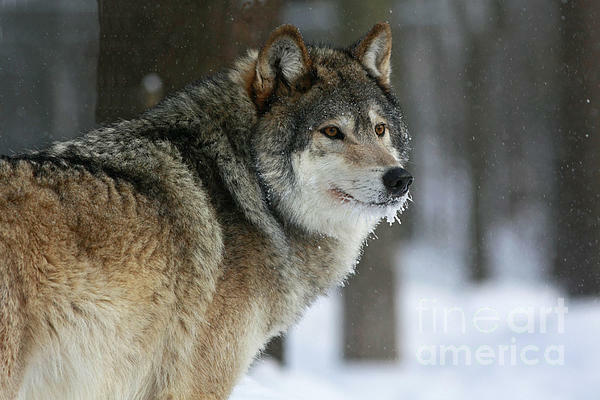 This alpha male timber wolf in the snowy forest during a winter storm shows the true majestic quality of this powerful and beautiful animal. Its thick luxurious fur is at its height of beauty during the cold Canadian winters in Canada. Shelley Myke is a Canadian Wildlife Photographer and Nature Photographer who uses photography to capture the true beauty of Canadian Wildlife in Northern Ontario Canada. Her Fine Art Prints have been sought after by Wildlife Enthusiasts and Fine Art Collectors worldwide.